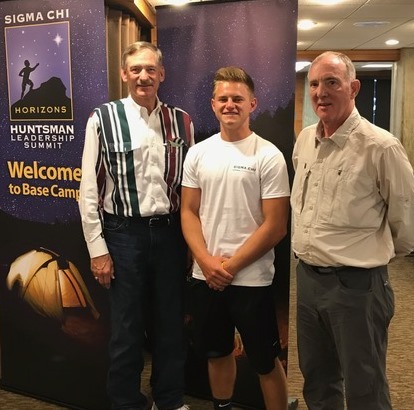 Dave True ’73 and Mark Sand ’73 had the opportunity in June to spend a couple days at Sigma Chi’s Horizons program in Snowbird, UT as Distinguished Visitors. Horizons is a leadership development experience for qualified undergraduate Sigma Chis with at least two years remaining in college, and who wish to improve their understanding of leadership as it relates to personal development, group dynamics, and intentional efforts to make positive change in the world. The program is offered at no cost to the participants thanks to the generous support of the Sigma Chi Foundation and the Sigma Chi Canadian Foundation. We want to thank Brothers Sand and True for sharing their time and life experiences with so many undergraduate brothers. Greek life has seemingly always been under the microscope. However, Mark brings clarity that it is growing more difficult. Delta Delta has always been Special. Blessed with great brothers who live life and accomplish so much good. And I hypothesize that the ideals of Sigma Chi and the strong bonds among our brothers are the difference makers. Great brothers transform to Great Alumni. I hope some of you will “Snap” “Snap;” if that practice remains alive in chapter meetings.